As the saying goes, an ounce of prevention is better than a pound of cure. That is probably why your doctor tells you frequently that you need to eat a healthful diet, exercise frequently, and get enough rest. It's in your best interest to keep your body as healthy as possible. This includes your mouth. One of the best ways to make sure that your body remains healthy is by maintaining a healthy weight. For some, this might mean actually losing weight. We know it's not easy. But, besides the usual heart-healthy benefits to losing weight, a recent study shows that your body fights gum disease more efficiently if you're not carrying excess fat. 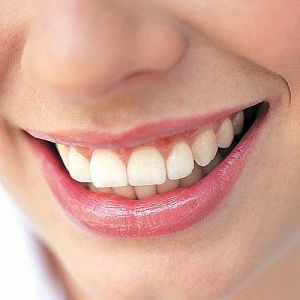 The reason is that the fat cells in your body can cause systemic inflammation, which can trigger gum disease. The inflammation from gum disease then results in bone loss and more infection. Even worse, an escalation in gum disease can result in tooth loss. Finally, if there are sores or breaks in your gums, some of the harmful bacteria can enter the bloodstream directly, causing heart disease and, in some cases--if left undetected or untreated--death might result. So even though shedding pounds and maintaining a healthy weight afterwards is tough, the benefits to your overall health, and to the health of your mouth and your teeth, are more than worth it. Just think of it as the best ounce of prevention (and pound of cure) you can invest in!